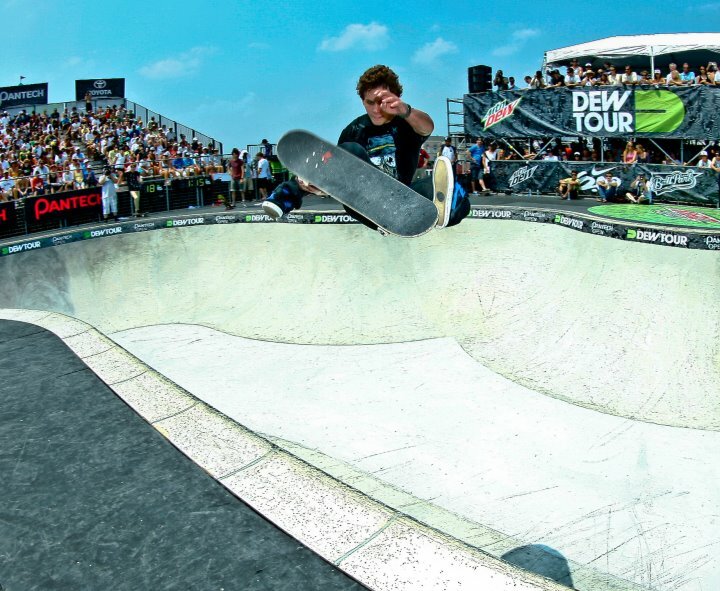 Pedro Barros destroyed the competition at Dew Tour’s first skate bowl event with his massive transfers, 540 variations, style around the corners and unbelievable speed. 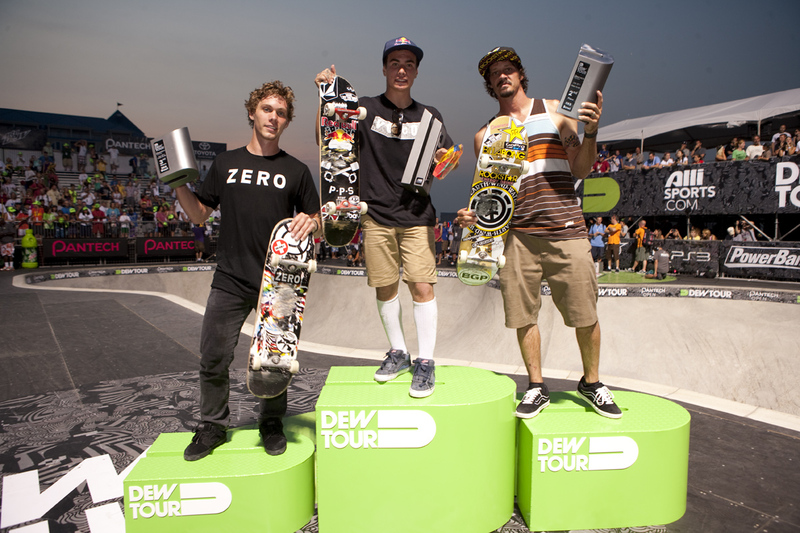 he beat out two veterans of the sport Bucky Lasek and Andy McDonald to win the first ever Skate Bowl Competition at the Dew Tour Pantech Open in Ocean City Maryland. From the start of the first heat through the superfinals, it was 16-year-old Barros who was the guy to beat. He posted the highest score of the finals and carried it through the five-man superfinals to take home the win with a score of 85.63. "I think today was the day I was skating best,” Barros said. “I could do my best lines. The way that I skate is always trying to go as fast as I can and as high as I can. So that’s what I did today and it worked out pretty good for me.” Pedro barros left no doubt (if any) in the minds of the fans that he is not only the future of bowl skating, he's setting the current standard. Barros impressed all day long with huge airs and technical transfers that only he was able to pull. Bucky Lasek was injured recently but looked good and confident showing no effects from the injury. He fought his way back from 10th at one point to make it into the superfinals where he put down some good runs and a big frontside rodeo on the corner. He finished second with a score of 84.00. Zero rider Ben Hatchell showed lip supremacy and vert mastery, and got extra points for wearing no pads. ﻿He came out of the scariest slams like he was walking down the sidewalk. No pads, no shoe, no problem! His Mctwist and Indy kickflip was insane, and he had some of the best combos all day. Hatchell’s alley oop front feeble in the superfinals was amazing, and he finished third with 81.63. Andy Macdonald finished fourth (80.13) with a kickflip melon grab, massive transfers, indy kickflip into 540 varial and a huge transfer attempt at the end. 540, airwalk lien to tail, and 540 transfer attempts in the superfinal and finished in fifth with a score of 77.38 points. The two best scores out of four runs counted, with 50 points as the highest score possible. Other highlights from the Dew Tour’s first bowl Final included Ben Raybourn’s easy style and one foot 540, 540 rock n roll and 270 axel stall. Benji Galloway entertained the capacity crowd with a back lip through the corner, a tuck knee over the hip. He even lost his hat and managed to grab and put it back on his head in the same run. Overall the skaters were stoked and the crowds were fired up to see it all go down. Pedro Barros landed #1. Barros impressed all with huge airs and technical transfers that only he was pulling. Thanks to Lee Leal (Embassy Skateboards) for the pictures. All pictures used with permission.